Being a lazy vintage enthusiast can be tricky, so perfecting something as time consuming (and sometimes as difficult) as pincurls is near impossible for me. I'm fine when it comes to curling the front of my hair into snail-like swirls but reaching around to do the back hurts my arms and my brain so I enlisted my willing flatmate Anna to play guinea pig for me. Luckily, Anna likes having her hair played with so she was happy to sit for half an hour while I twirled her hair into somewhat imperfect little rolls. Pincurling towel-dried hair gives the best results as the curl is easier to manipulate and lasts longer than a dry curl once set. Curling wet hair is known as a 'wet set'. Try not to twist the hair as you roll - twisting = frizz! Use pronged curling clips or flat-edged bobby pins to hold the curl in place. Using ridged bobby pins can leave indentations in the hair. If sleeping with the curls in, wrap your head in a satin/ silk scarf to keep everything in place. Take a small section of hair (about an inch wide), comb it through, then curl it in on itself in your desired direction. The trick is to curl it like a pinwheel or snails shell - you want a smooth, tight curl rather than a twisted one. There are plenty of video tutorials demonstrating this technique. Once you have curled the section all the way to the scalp, lie it flat against the head and secure it with one or two pins/ clips. Repeat this all over the head - more advanced pincurlers do this in rows all over the head but I did mine a little more haphazardly. 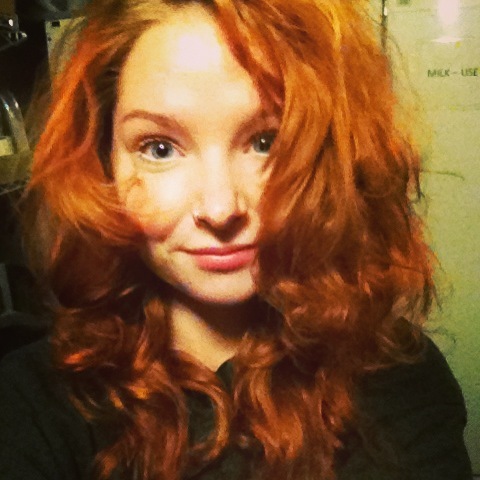 Once all the curls are done, spritz with a little hairspray and wrap the head in a scarf ready for bed! Anna's hair wasn't brushed out, which is usually the next step with pincurls, but as you can see they still gave her some serious volume! 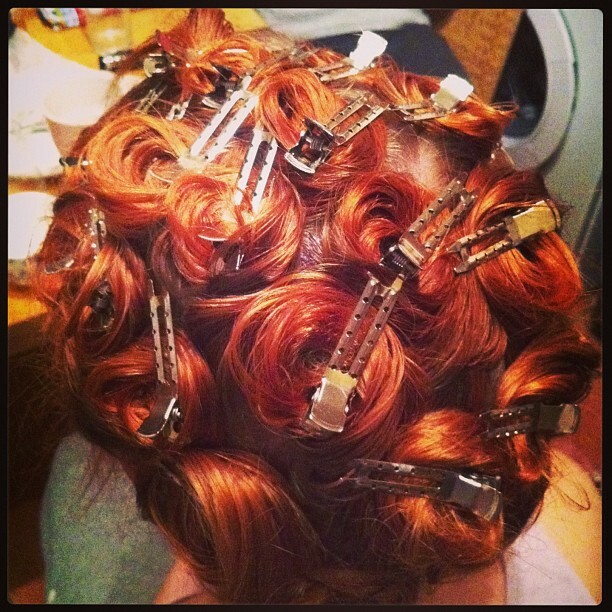 Have you tried pincurls in your hair? They're time consuming but a lot of fun and I think with a little more practice I can create some pretty cool looks! Amazing post, i love the effect, gorgeous!